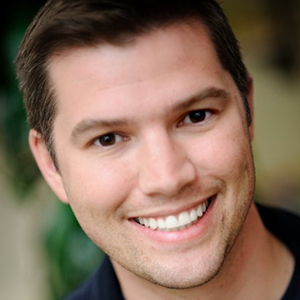 Kyle Porter is the founder and CEO of SalesLoft. SalesLoft generated explosive growth over the past two years, serving over 1,200 clients and 30,000 business professionals while boosting revenue over 2,000 percent in 2015. Kyle led the team from four employees in 2014 to over 85 in 2016, who were honored together as Atlanta’s No. 1 best place to work in a survey by Atlanta Business Chronicle. Upon graduating from TechStars Boulder in 2012, the Technology Association of Georgia recognized the company as one of the Top 10 Most Innovative Companies in GA. As the fastest growing technology company in Atlanta (PaceSetters 2014, 2015), Kyle was named the TiE Top Up-and-Coming Entrepreneur of the year and Metro Atlanta Chamber of Commerce Business Person of the Year in 2014. As a champion for organizational health and the Atlanta technology ecosystem, Kyle is dedicated to helping SalesLoft’s employees accomplish their goals and dreams. He presents at national conferences on the topic of leadership, fostering culture in a dynamic market, and blogs at kyleporter.net. Kyle is a Georgia Tech graduate who loves wakeboarding, reading, cycling, and spending time with his wife April, and baby Brooklyn together on their tangerine farm in Florida.